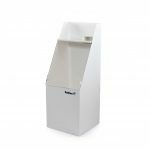 MiniMaster measuring unit offers you continuous monitoring and automatic dosing (disinfection) to safeguard water quality in the same way as in public baths and large hotel pools. 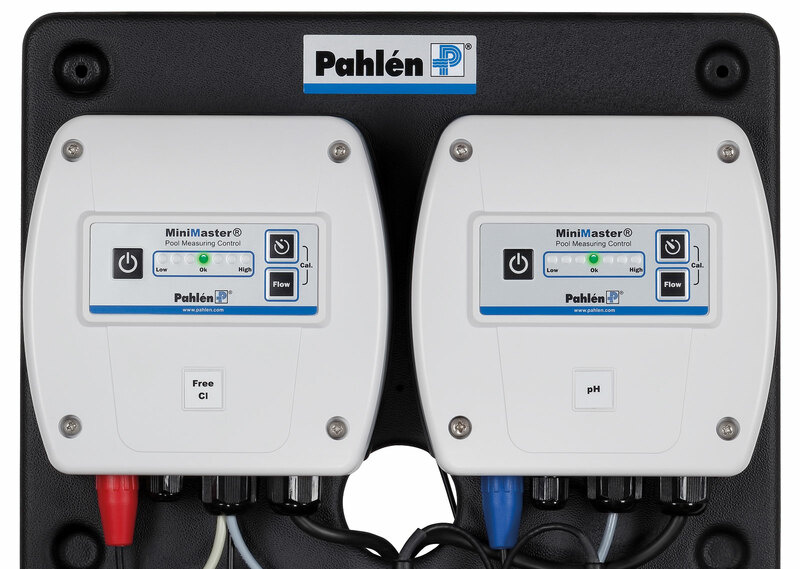 MiniMaster is based on the same technology as Pahlén’s well-known Autodos, which is currently in its third generation. With a MiniMaster installed in your pool, you need never again worry about your water quality – because MiniMaster handles it all automatically. MiniMaster monitors your water quality on an ongoing basis, making it simple to maintain clean and clear water at all times. Whenever necessary, the right quantity of chemicals is dosed into the water via a pump or chlorinator (option). This in turn ensures steady and low consumption of chemicals. You no longer need to ask anyone for help with dosing your pool when you’re away or on holiday. MiniMaster does it all for you and your pool water will be clean and clear when you return. Measures and doses chemicals automatically. 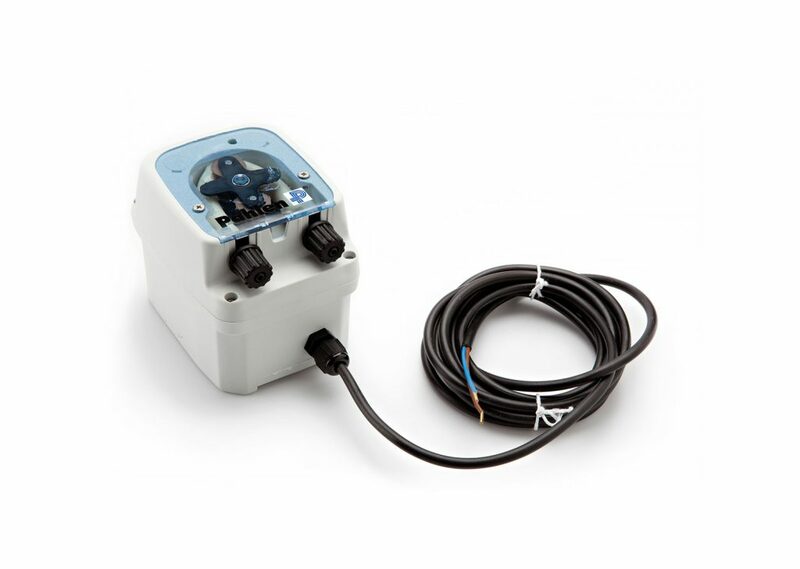 Provides optimal water quality with automatic monitoring. MiniMaster is available in several versions to suit all pool types. The most advanced version of MiniMaster does virtually the whole job for you. A MiniMaster equipped with all the options is a complete measuring and dosing unit. The water’s pH level is measured with the help of pH electrodes and chlorine levels are checked using a chlorine electrode. Now also available with pH and Redox especially suitable for pools with saltwater. Clear and easy-to-see LEDs show the status of your water quality. Green indicates the set optimal value, yellow shows that it is probably time for the next dose or that the previous dose was too large. When the red LED comes on, the value is too high or too low and MiniMaster will automatically add the correct dose of chemicals to achieve the right pH and/or chlorine levels. Calibration of the unit is very simple and is done by simultaneously pressing two buttons on the control unit. In order to provide exact readings, MiniMaster is equipped with a flow meter and a flow adjustment device for correct calibration. 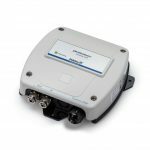 MiniMaster is also available in a single-channel version that monitors either the water’s pH value or its chlorine value. MiniMaster clearly indicates the quality of the water with the help of LEDs. Indication takes place in the same way as above. Specify an optional pump for dosing of acid/alkali (pH) or chlorine, and you will have a complete unit. The pool water’s measured values are shown as symbols in the display via the seven LEDs. During measurement, one of the diodes flashes. When both measurement and dosing are activated at the same time, one of the diodes glows steadily. 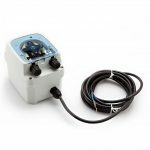 In order to simplify maintenance as much as possible, for instance when shutting the pool for the winter, replacing worn electrodes or carrying out reference measurements of electrodes, the flow cell model is designed to tilt forward. The module also features a drain tap for test water. Calibration or adjustment of flow is carried out on the flow cell module. The transparent case in front of the module also makes it very easy to verify that there is flow to the unit. 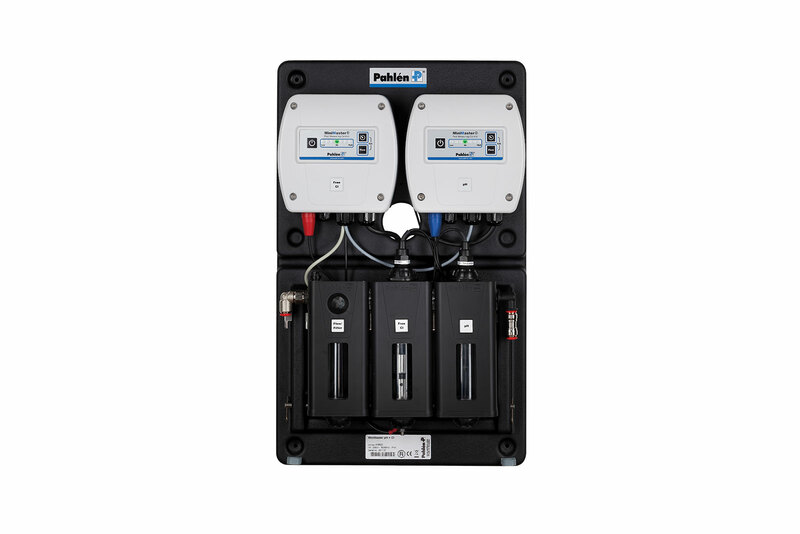 Provides optimal water quality with automatic monitoring. Dependable and easy to use system for pH reduction in the pool by CO2 gas. Operated through MiniMaster. In order for dosing to take place accurately and correctly, a pump is used since this provides steady, uniform dosing of liquid chemicals. Intended for storage of liquid chlorine or acid. 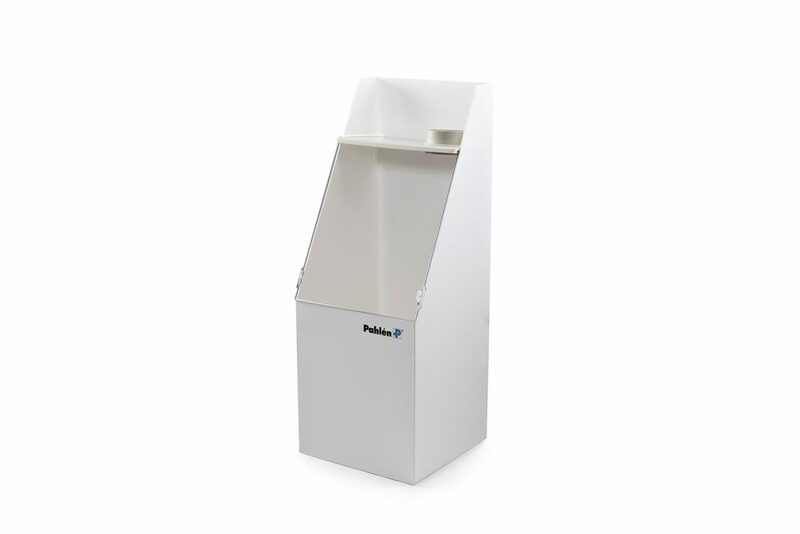 The cabinet is made of PP plastic with a well welded bottom, which acts as a fitting for possible leakage.